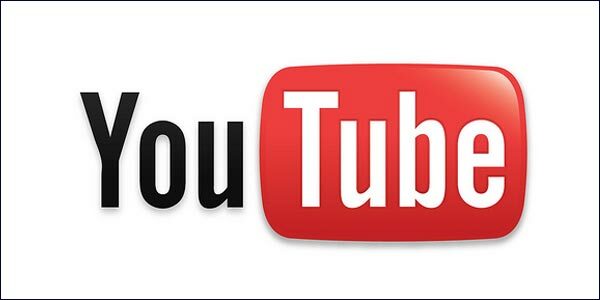 How To Use YouTube To Help Your Small Business Grow? Part 1. Posted on 7th November 2011 at 10:52. If any one mentions the social media or social media marketing to a small business, what’s the first thing that will spring to mind? The answer’s probably Facebook or Twitter. It’s quite a reasonable answer to give when you consider that these two social media behemoths are massive and attract a worldwide audience. What SMBs probably don’t realise is that they aren’t the biggest social media sites. That honour goes to YouTube, the biggest and most popular video marketing platform on the planet. People have very strong opinions about the platform: some see it as merely a social channel for entertainment and frivolity, others as an irrelevance in pure business terms. Well, they’re both wrong. Yes YouTube has its share of singing dog videos and piano playing cats, but it also has a serious business application, even for the smaller business. If used correctly and targeted at the right audience, YouTube video marketing can turn video views into pounds. So, how do SMBs achieve this? Watch a lot of YouTube videos. This might sound like an odd thing to suggest. Surely businesses should spend their time refining their products and services and doing all they can to sell their wares. Well, of course that’s right, but if you haven’t really spent time watching the channel then it will be impossible to get a grip about what it does, and to understand what it’s about. Think of it as research and then you’ll see the business case in spending time watching online video. Have a look at what’s hot, and what gains the most attention. The ultimate aim is to be able to recognise the good ideas and understand the thinking behind them. Once you’ve grasped this, then you move on and start to conquer the video world. Once you’ve spent time watching hours of YouTube programming, you should have a good idea about the type of ideas that work, and more importantly what doesn’t work. Users will only watch videos that are good. The problem is the ’good’ area of the market is extremely congested: every business is trying to get a foot in the door, so it may be necessary to refine your original ideas and target a specific market or niche. The chances of making a spectacular ad are about as likely as winning the lottery. So what businesses should do is either position themselves as experts in their own particular field, or market their brand or product as a lifestyle choice. So what about if your business sells what most people might term as boring products, like plumbing supplies. How do you make that sound interesting or entertaining? Well, these products are essential to modern living: try living without a toilet for a while and you’ll see. Try to get inside you’re potential customers head and give them video information that will prove helpful and informative. Imagine coming home from an evening out and discovering a burst pipe or a broken toilet: what would you do? What likely information would you want someone to give you? Whatever you do, don’t try to think like a traditional advertiser. YouTube marketing isn’t really about advertising per se, it’s more about creating content that connects with people and helping them to explore. If you provide this sort of content users will be more likely to like what you’ve done for them and go on to visit your website. Don’t expect to go viral. If you go into this with the expectation that your content will prove to be as successful as the Old Spice Man video, then you’re likely to be in for a big disappointment. It’s important to get a handle on this, and have realistic expectations. Bear in mind that 48 hours of video footage is uploaded to YouTube every minute, and your video is just one miniscule part of that footage. So, if you’re expecting to go viral, then forget it. The result small businesses should be looking for is connecting to an audience and building a relationship. Think of it like cricket: you can’t expect to smash every ball for six, but if your timing and technique is right, you can sneak a crafty single or two off every ball. At the end of the day video marketing isn’t simply a matter of attracting raw numbers and massive viewing figures. Obviously that would be nice, but just because someone watches your video doesn’t mean they’ll go on to buy your products. It’s much better just to aim to position yourself amongst the right kind of audience, and then look to capitalise on that later. Targeted Local SEO For The Holiday Season.How To Use YouTube To Help Your Small Business Grow? Part 2.